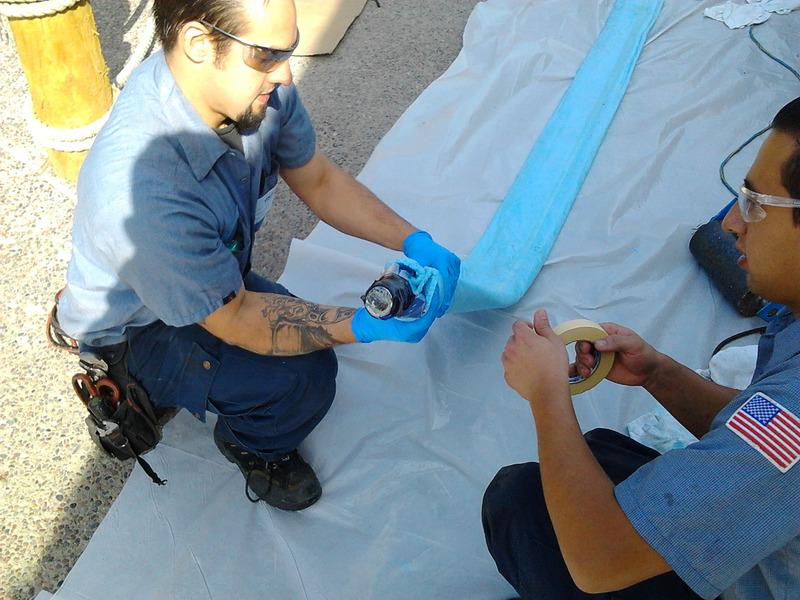 The use of epoxy coatings and epoxy-coated structural liners can save both time and money over traditional pipe repair methods. Damaged or deteriorating pipe systems can be expensive to replace, particularly those that are located in hard-to-reach locations or inaccessible without selective demolition. Fortunately, common pipe systems can be rehabilitated from within, using cured-in-place epoxy coatings or epoxy-coated structural liners. 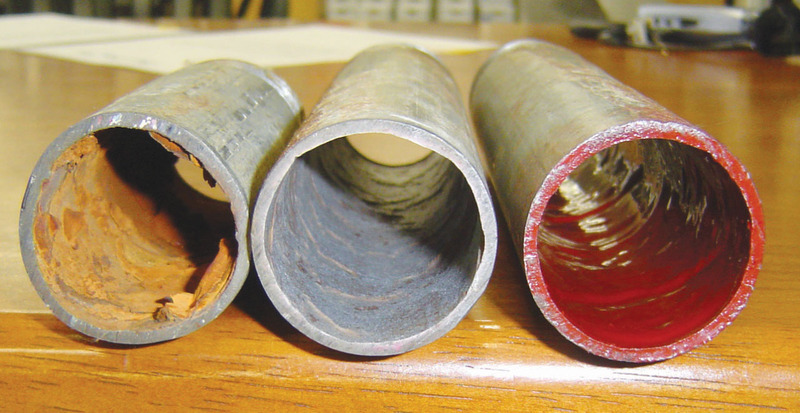 These in-situ pipe repair techniques can offer cost savings of up to 60% and time savings of up to 30% when compared to traditional pipe repair methods. We’ve partnered with Nu Flow America to highlight several different in-situ pipe repair techniques available to facility managers and building owners. In-situ pipe repair techniques can be used on a wide array of small diameter pipes: compressed air and gas systems, HVAC systems, chemical supply lines, potable water pipes, sea-water cooling systems, storm drains and sanitary sewer lines. The idea is to fortify and protect pipe walls from within without creating obstructions while minimizing repair costs and reducing system down time. Just about any pipe material can receive these treatments: PVC, cast iron, galvanized steel, copper, and even concrete in some cases. The two categories of piping systems where these repair techniques can be used are those with drains and cleanouts, such as gravity flow sanitary sewer lines or roof drains, and pressurized piping systems, like those supplying compressed air or other gases. 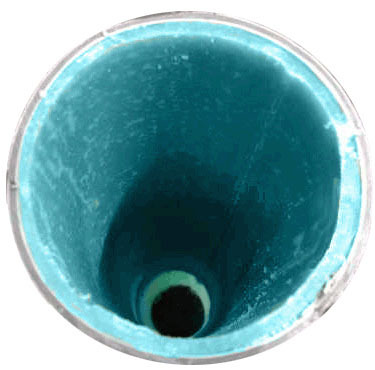 Cured-in-place epoxy coatings and epoxy-coated structural liners can be used on either piping system (those with drains or pressurized), with the exception that only specific epoxy coating types are NSF/ANSI Standard 61 approved for use in potable water pipes. Nu Flow’s technology can be applied in pipe systems that range from 1/2” diameter to 12” in diameter. 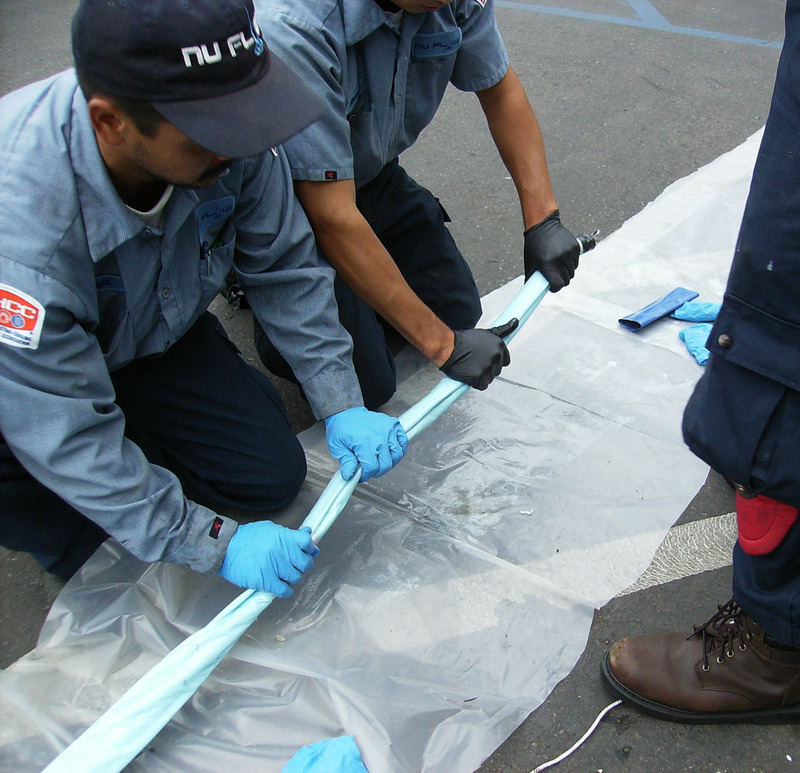 Nu Flow’s structural liners can be placed in 3/4” through 12” diameter pipes. 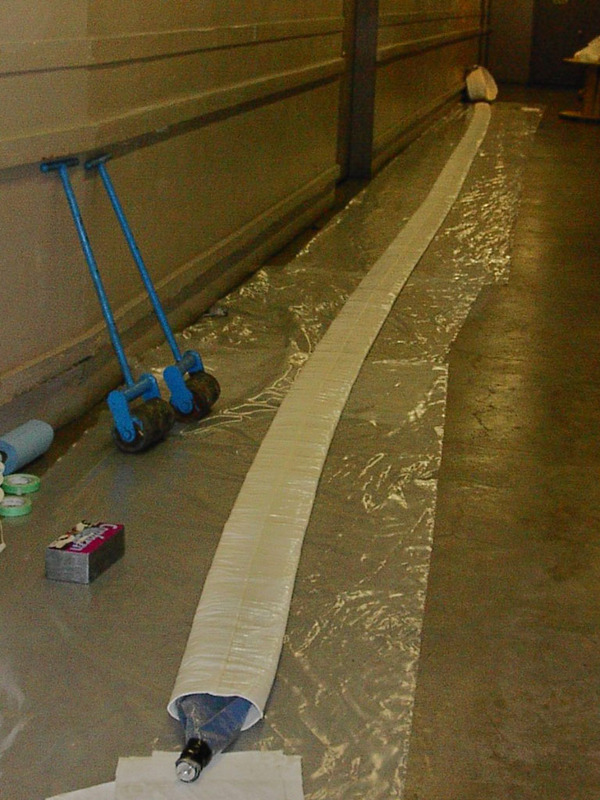 Nu Flow’s epoxy coatings can be installed in ½ ” diameter through 12” pipes, and are used almost exclusively in ½” to 2” diameter pipes. Regardless of the type of pipe system, figuring out the extent of the repairs required is the first step. Systems can be by-passed if necessary with temporary piping, then shut-down, cleaned and inspected. For pressurized pipe systems, hot, clean compressed air is run through the pipe network. The starting air temperature at the compressor is around 130 degrees but typically decreases 85-90 degrees by the end of a pipe run. A dry garnet rock abrasive is added to the compressed air flow and then the abrasive and debris is captured by a cyclonic vacuum collector. 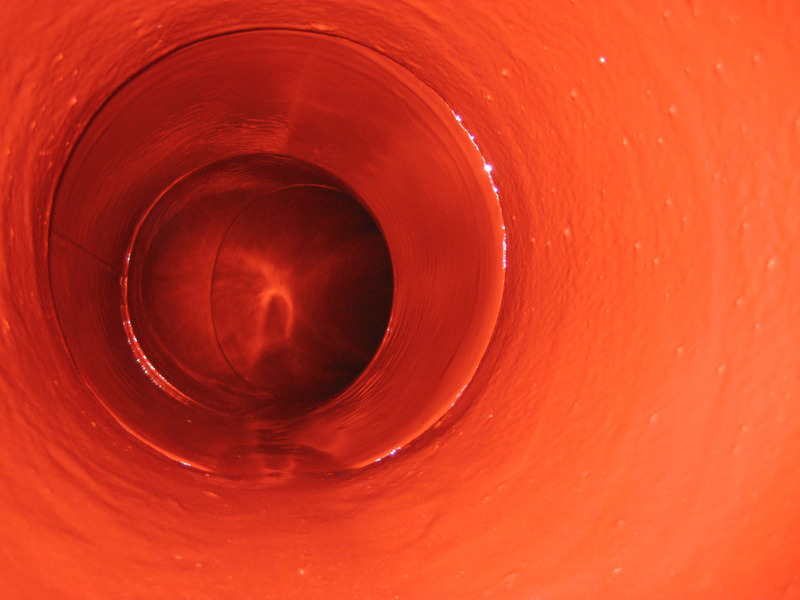 The abrasive additive provides an anchor tooth (close to 6 mils) throughout the pipe’s interior surface for better adhesion of the epoxy resins. For drain pipe systems, existing drain lines and cleanouts are taken advantage of and provide convenient access points for cleaning tools, so there is no need to dig or create holes for access points. Where cleanouts don’t exist, they can be installed in a pipe run to better facilitate access for cleaning. Cleaning is accomplished with pneumatic tools or by hydro-jetting, depending on the type of pipe and severity of build-up within. There are different cleaning heads that can be placed on the cleaning tools depending on the system conditions. Cameras are used to conduct interior inspections for systems with drains in the 2” to 12” diameter range. Camera surveys can be conducted before cleaning, after cleaning, and after installation of the repair work to provide the building owner a record copy of system conditions. Pressurized pipe systems without drains are not typically inspected with cameras. Pipe samples can be taken to determine the nature and extent of build-up within the pipes. This is often suitable because pressurized pipes tend to have thicker dimensions and are cleaned with the hot compressed air technique. Common problems discovered during inspection and assessments are pinhole leaks, breaks, corrosion, pitting, and build-ups – the extent and location of which will determine the best repair method – a coating or a liner. Certain types of pipe systems will have commonly noted issues. For example, galvanized steel potable water piping (popular in the 1950’s and 60’s) is more susceptible to interior build-ups of metals that have precipitated out of solution – calcium and iron being the biggest build-up contributors. 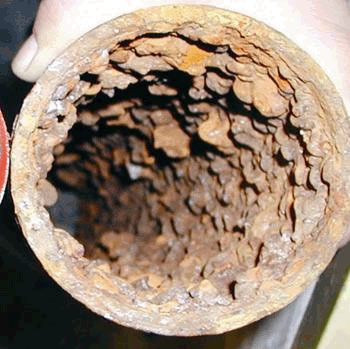 Copper water pipes are less susceptible to interior build-ups but commonly experience pinhole leaks. 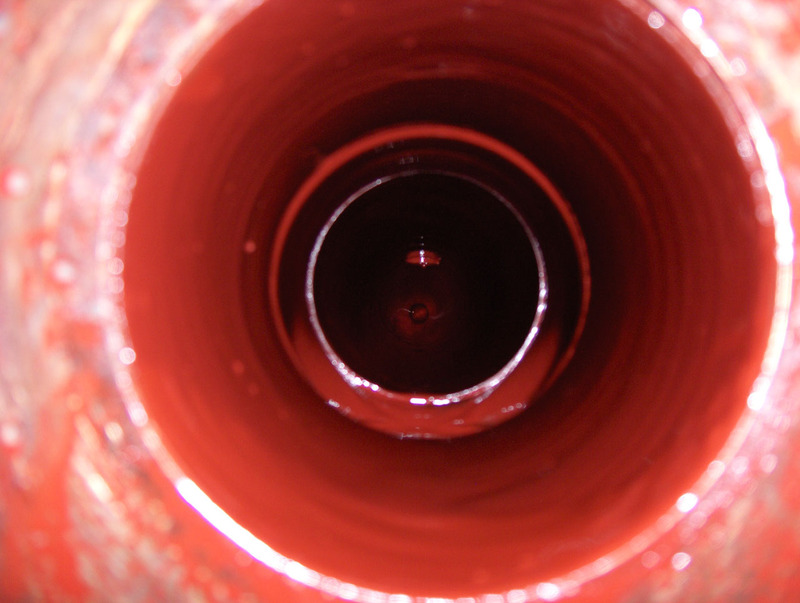 Epoxy coating repairs are more common when there are no structural concerns noted within the pipe. The amount of epoxy coating material necessary is determined by a formula – the factors that determine the amount of coating material to apply are viscosity, pipe diameter, and length of pipe run. Different epoxy coating products are available for the different types of pipes and applications. 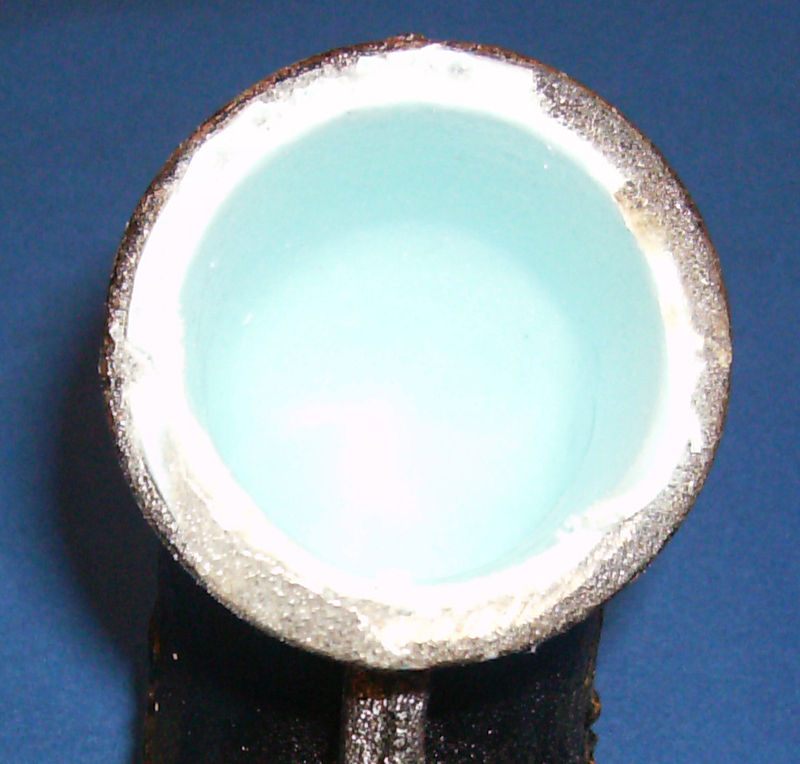 The epoxy is applied throughout the interior diameter of the pipe network. The final target coating thickness is about 10 mils. Drain pipe systems are repaired with structural liners, which cover the commonly-found large breaks and holes in the failing drain pipes. 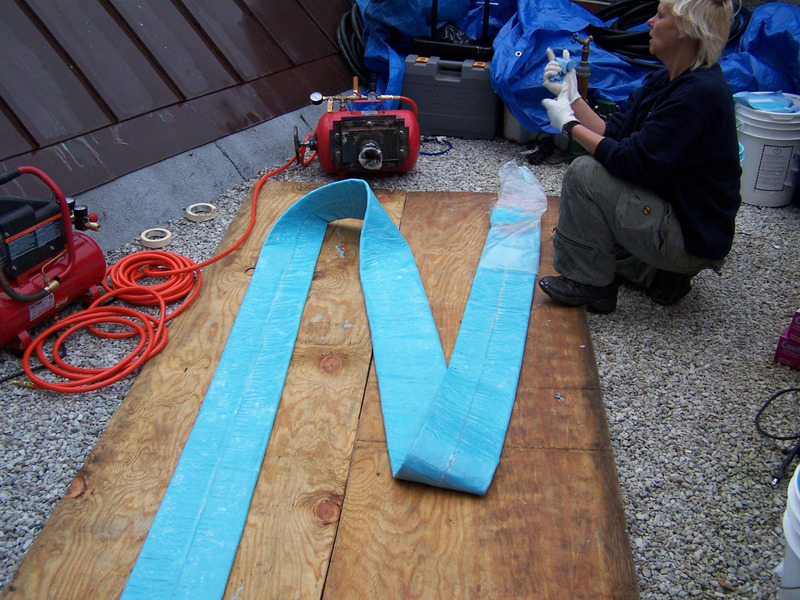 There are many variations of different types of structural liners, but some basic ideas apply. Based on the type and condition of the pipe interior, a fabric sock (felt is the typical material) is positioned inside a pipe length. 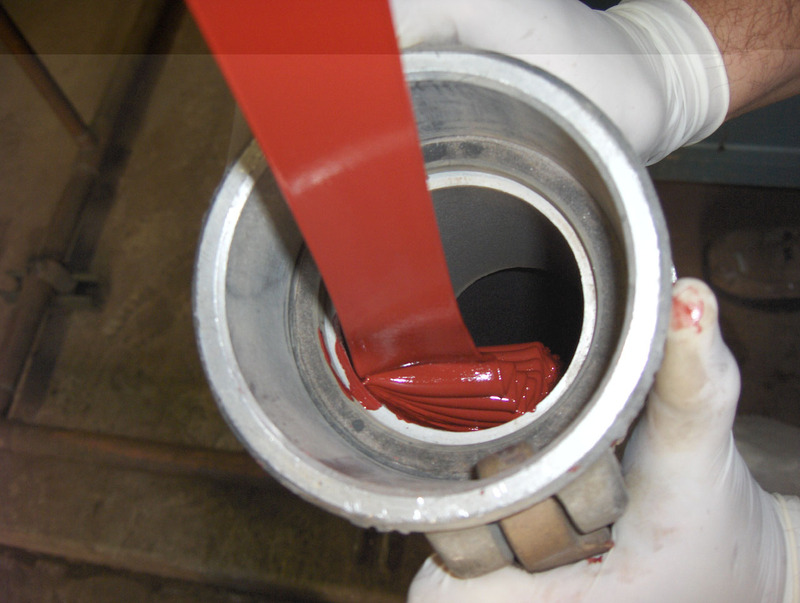 For each specific application, the proper types and quantities of epoxy resins to coat the sock are calculated. The fabric sock is inflated with a pneumatic bladder which positions the fabric in place, even for pipes with non-circular cross-sections. The sock is saturated with epoxy resins that cure and dry. The curing process typically only takes 4-5 hours and the pipe system is ready for use again. Here are some photos with captions from actual project sites that visually demonstrate the activities involved in these pipe repair projects. Separate from the time and cost advantages, facility managers and building owners also benefit from the quieter, less intrusive workmanship that these methods allow. Amanda Strouse is the Marketing Coordinator and Bill Turner is a Regional Manager for Nu Flow, headquartered in San Diego, California. They were technical contributors to this feature.